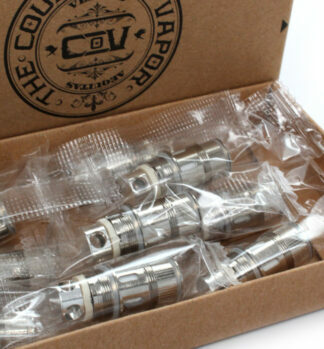 Council of Vapor coils come in a 10 pack and are the replacement coils for the Vengeance Tank by The Council of Vapor. 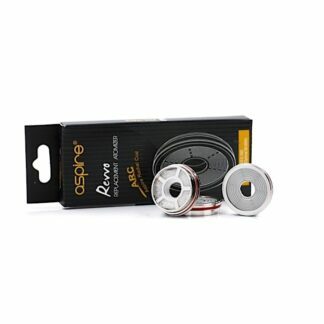 Available in 0.2ohm and 0.8ohm resistance. 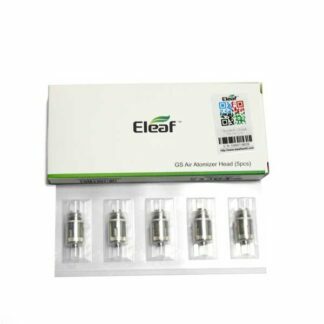 The Eleaf iStick QC 200W and Melo 300 Sub-Ohm Tank Starter Kit combines the new ultra capable iStick QC with the high performance Melo 300, offering a powerful and convenient output system. The iStick QC 200W is the evolution of the iPower system, extending the power range by 150% percent for a maximum for 200W. Alongside the extensive power ceiling is preheat functionality, full temperature control, and a smart mode output that saves up to 10 distinct atomizer resistance profiles that provide convenience when switching amongst different atomizers. Inside the chassis is a 5000 mAh power bank comprised of three batteries run in series, with the namesake QC (Quick Charge) technology allowing for a maximum effective charge rate of 1.5A. The iStick QC 200W also deploys Eleaf’s switchable interface software, giving users added flexibility to switch between the interface best suited to your needs. Eleaf’s Melo 300 Sub-Ohm Tank is the first extreme performance orientated atomizer from Eleaf, capable of an absolutely staggering 300W maximum output. The marquee feature of the Melo 300 is the new Eleaf ES Sextuple Coil Structure, an extreme performance orientated wide body chassis design that is rated between 100 and 300W, allowing for exceptional maximum range. 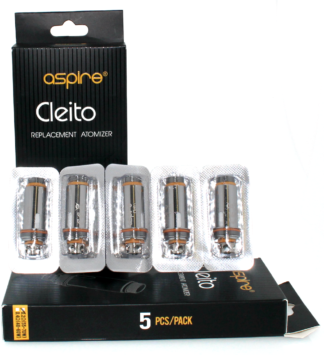 Each ES Sextuple Coil features a three coil section design with parallel vertical coils in each section, with an ohm rating of 0.17 ohms. 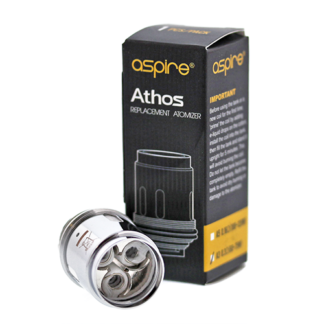 Airflow feeds into this high performance atomizer through dual 13mm by 3mm airslots located at the base of the chassis providing ample airflow all the way up to the ES Sextuple Coil’s 300W maximum. Bringing high performance, a sizeable integrated battery, and Eleaf’s flagship Sub-Ohm Tank, the iStick QC200W and Melo 300 Sub-Ohm Tank Starter Kit is one of the most well balanced kits offered this season. Note: The FireLukes Mesh Coils is only compatible with the FireLuke Mesh Tank. These are are not compatible with the FireLuke, FireLuke Pro, and the Freemax Mesh Pro Tank. 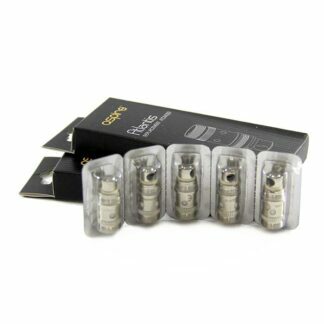 The replacement coils for those are available here. 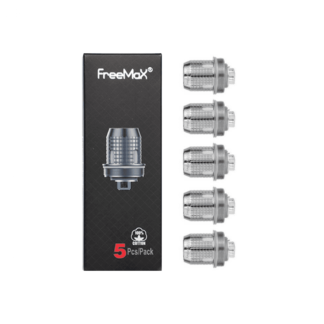 FreeMax Starre coils come in a 5 pack and are the replacement coils for the FreeMax Starre Tank. 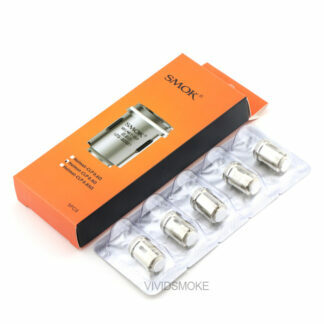 Available resistances of 0.25 and 0.5 Kanthal and also 0.15 NI200 Temperature Control. 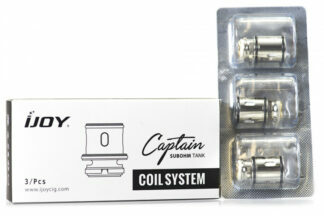 The iJoy Captain CA Replacement Coils are high wattage replacement coils designed for maximum flavor and vapor production for the iJoy Captain Sub-Ohm Tank. 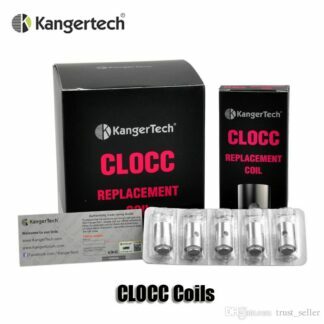 Each pack of coils comes with three thread-less replacement atomizers with vertically oriented coils and organic cotton. The CA-M2 series are meant for the Captain Mini Sub-ohm Tank. These replacement atomizer heads feature pure organic Japanese cotton wicks. The 0.15 ohm coils are wrapped from pure Nickel (NI-200) wire, allowing you to monitor and limit the temperature your coils are reaching. Because these coils are only for use on temperature sensing devices like the Evolv”s DNA 40 board, the silicone rings are blue for ease of identification. 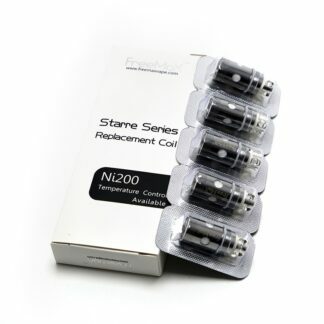 Get performance and peace of mind, pick up the new temperature sensing OCC coils for your Subtank today! 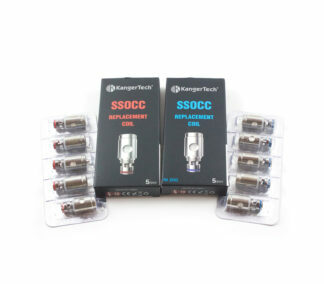 The SMOK Helmet-CLP Replacement Coil is an extremely innovative performance atomizer, featuring a top-cap assembly for a bottom-feeding design to provide outstanding flavor and eliminating flooding and leakage. Specifically made for the EU TPD compliant Helmet Sub-Ohm Tank, each coil is manufactured to SMOK’s stringent standards for a well-balanced flavor recreation and effective airflow performance. You don’t need a big mod to have great features and a large screen. Introducing the QBox by Smok. 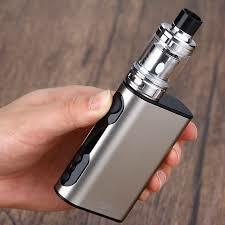 The QBox is a compact little unit with the ability to reach an astounding 50W max given its small size. It also features a 0.96 inch OLED display and a 1600mAh internal battery. The QBox can easily fit in a pocket or purse to bring your vaping on the go without the cumbersome feeling of a large device. 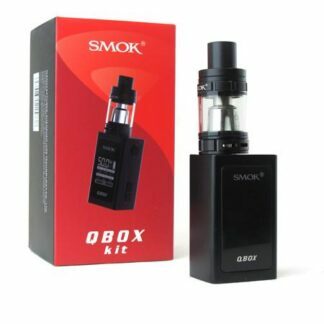 Smok has integrated their signature OLED display in the QBox, which present the user with detailed vaping data from your wattage or temperature to how many amps the device is firing at. The 1600mAh battery is enough to power this little guy and can be charged via micro USB. Capable of withstanding a charge current up to 1A, the QBox can be fully charged in about 1.5 to 2 hours. Constructed out of sturdy and lightweight zinc alloy, the QBox combines a pure pocket-friendly experience with premium quality and performance. Included in the Full Kit comes the TFV8 Baby Beast with an insane beastly punch. Based off of the initial design of the TFV4, the TFV8 Baby Beast takes all of the features and embraces them tenfold. The upgraded airflow, coil system, tank filling, and tank capacity proves to be just as good as the full size TFV8. 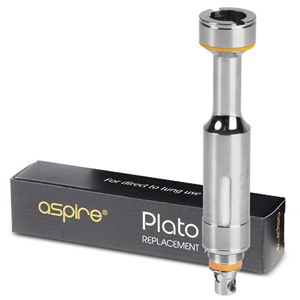 Featuring large dual cyclops adjustable airflow, this tank allows you to finely tune the air until you find that sweet spot. The diameter in center chimney has also been enlarged to allow more air to travel through the tank for the least amount of air restriction. While the swivel top fill feature remains generally the same, the fill port size has increased for easier filling and less of a juicy mess. 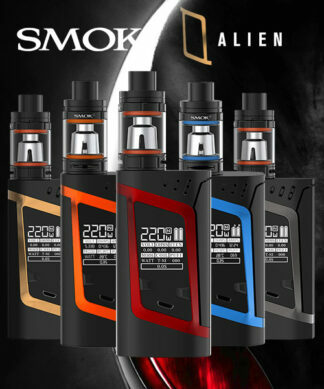 Smok’s famous TF sub ohm tank series is back at it again with top level performance and innovative designs to make it one of the most sought after sub ohm tanks in the market.